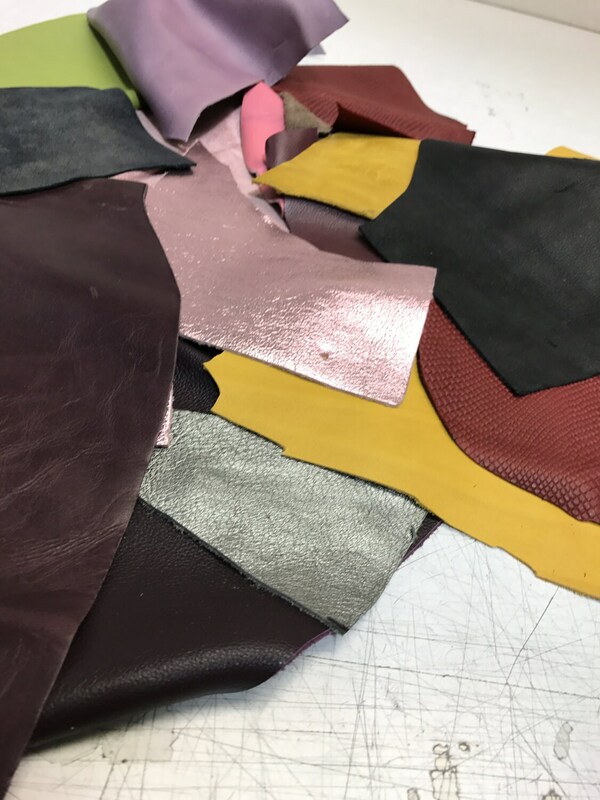 EXTRA LARGE PACK of Full Grain leather Scraps and Trimmings (5 lbs): natural grain leathers, fashion colors, metallics, embossings! Leather scrap remnants that are a byproduct of trimming for production of leather sales and finished goods. 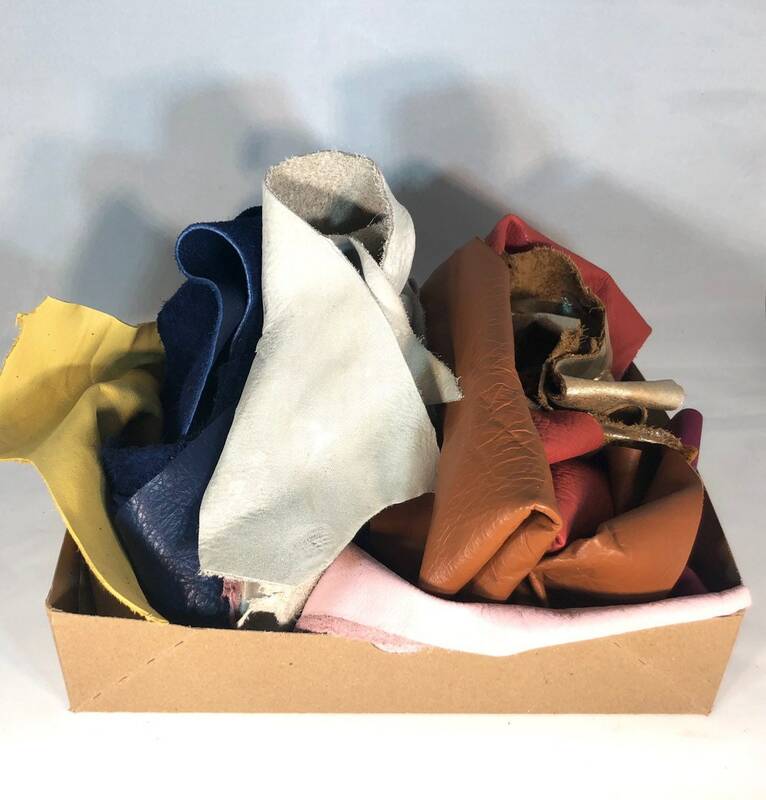 These scraps are always full grain leather and come in multi colored packages. The cuts vary as shown in the picture (each pack will have a different mix of colors, completely at random). Average packages will be a mix of 7-8 different colors/metallics/prints (there will rarely be more then 1-2 metallics or embossed leathers). Please note this is an AVERAGE. 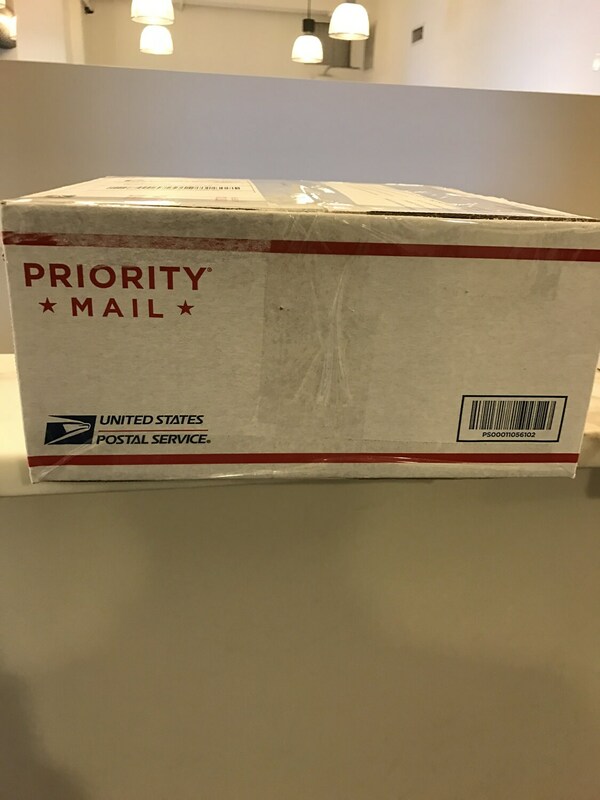 The packages are stuffed to capacity from the mix of available pieces each day. As our company is catering to mostly fashion, there is often pop colors, embossings, prints, and more. On average, the pieces are a hand size 5-6 inches in length and width. However, they are odd shaped. You can find clean pieces and pieces with scars. Most our leathers are around 1.0 - 1.3 mm in thickness. The majority is soft and pliable. On occasion you will find some heavier, smooth leathers. 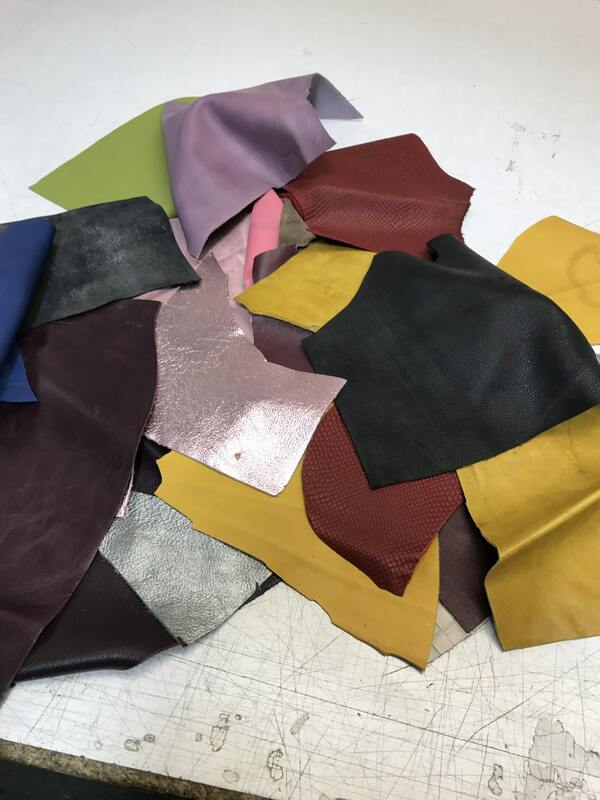 You will only find full grain leather in our scrap. We do not sell split or synthetic leather. Unfortunately, due to the cost and handling, we cannot accept returns on scrap. 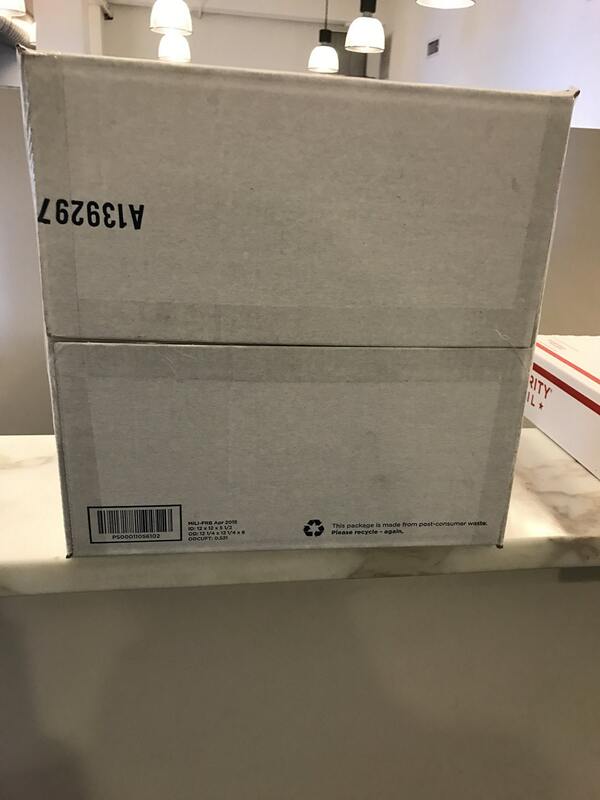 Pricing is for a 12'' X 12'' X 6'' USPS Medium Flat rate box. We can quote for larger sizes upon request. We fill each box to CAPACITY. Approximately 5 lbs of fine leather scrap is in each pack. For the standard scrap pack purchases, we cannot accommodate special requests as they are packed in bulk. For custom requests, feel free to contact us. Our custom packs are 2x the list price of the size you are inquiring for. I had requested Bright colors scraps and received pastel colors. I have ordered several times from this company and have always been satisfied and when I sent them a message they weren’t professional and didn’t accommodate me in any kind of way. I had an event that same week and lost out on money. Easy to communicate with and friendly! The pack is great! There is a lot of variety inside. Cleaner and of higher quality than most sources!